The Ascher Urbane Briefcase features a fully padded 15.6-inch laptop compartment, an internal tablet pocket, quick access pockets and file compartment. This briefcase works overtime with a full size front zip-down organizer section, padded carry handles and adjustable shoulder strap, and strong cotton and vinyl construction that'll go the distance. 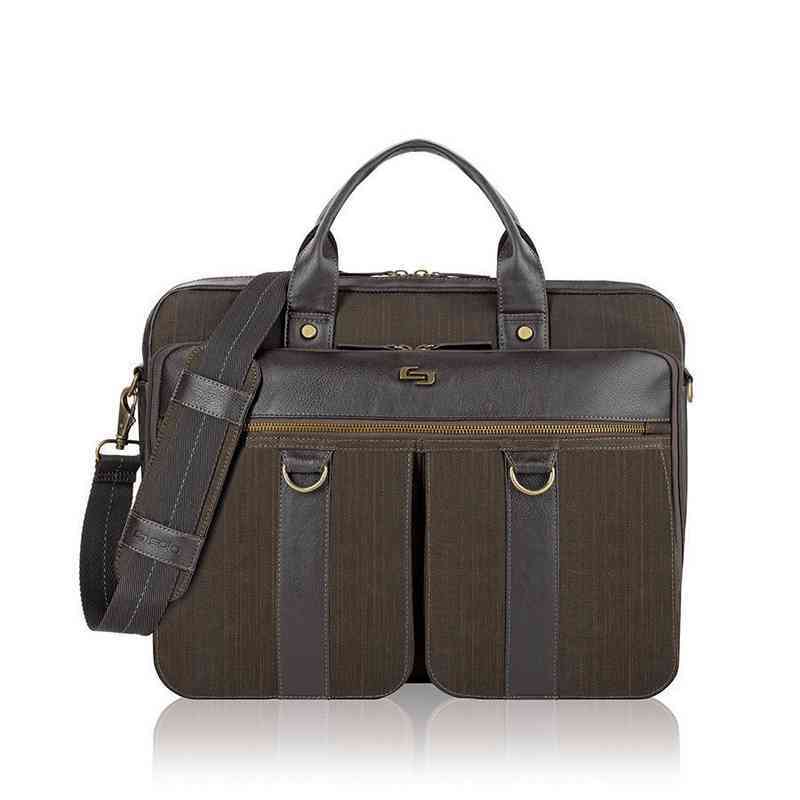 Accessorize purposefully with the Ascher Urbane Briefcase. Manufacturer direct from a trusted supplier.